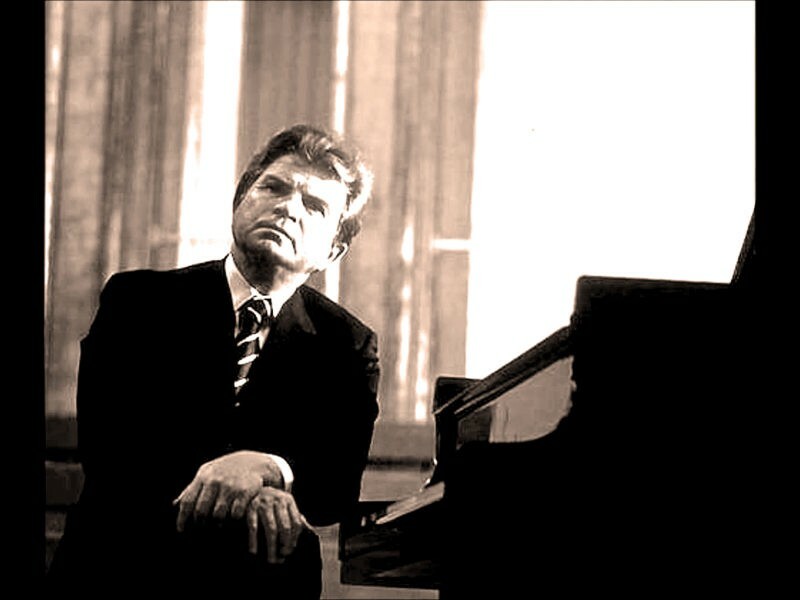 Emil Gilels — widely considered one of the greatest Pianists of the 20th century. True, dat. Another classic concert this week. This time, it’s The Philadelphia Orchestra, guest conducted by Wolfgang Sawallisch and featuring the legendary Emil Gilels in a performance of the “Emperor” concerto (#5) by Beethoven. It was broadcast in December of 1964. Opening the concert is The French Suite by Werner Egk, followed by the Piano Concerto Number 5 (“Emperor”) by Beethoven, with Gilels as soloist. This is a short (1 hour) concert, only because the second half, which includes the Dvorak Symphony Number 8 wasn’t included. Simply because, it wasn’t complete. And so rather than offer 3/4 of a work, to just leave it at the two complete pieces and maybe some day the rest of the Dvorak will show up. Needless to say, any concert performance featuring Emil Gilels is a concert performance worth listening to. Gilels, rightfully so, has been considered one of the greatest pianists of the 20th century — and you certainly have no objection from me there. His command of the keyboard is so great and his color and style are so engaging that some of my favorite go-to performances feature Gilels as solo. One of the first records I owned as a kid was a Russian 78 set of the Tchaikovsky 1st piano concerto. It featured a young Gilels and a not-too-good sounding USSR State Symphony conducted by Samuil Samosud. I don’t know when it was recorded, probably before World War 2 and the records were pretty beat-up to begin with. But Gilels performance was magical, even to these 9 year-old ears. Many years later, I managed to locate another set in much better shape from a dealer in Budapest — and even though the orchestra still sounded pretty thin and shaky, Gilels sounded exactly how I remembered, hunkered over my record-player as a kid. And that was one of many recordings by Gilels that made life a whole lot better. All that by way of saying, this is a concert you should have a listen to if you aren’t familiar with the work of Emil Gilels. He recorded a lot during his career and most of it is still in print. So check this one out and go exploring. Enjoy nonetheless — it’s Wednesday already! Originally published at pastdaily.com on July 6, 2017.